My wife took my five-year-old daughter to the game shop to pick out a Christmas present for me. I’m told that she was certain that I wanted this one, a Major Demon from North Star’s Frostgrave line. I’ve thought about Frostgrave, but haven’t gotten a demo or anything. I figure I can use the model as a proxy for a Mature Nephilim, as long as my opponent isn’t a stickler for the GG 66% Wyrd rule. The model had some pretty significant mold lines, although it cleaned up pretty well. I was given explicit instructions to paint it like the studio model. 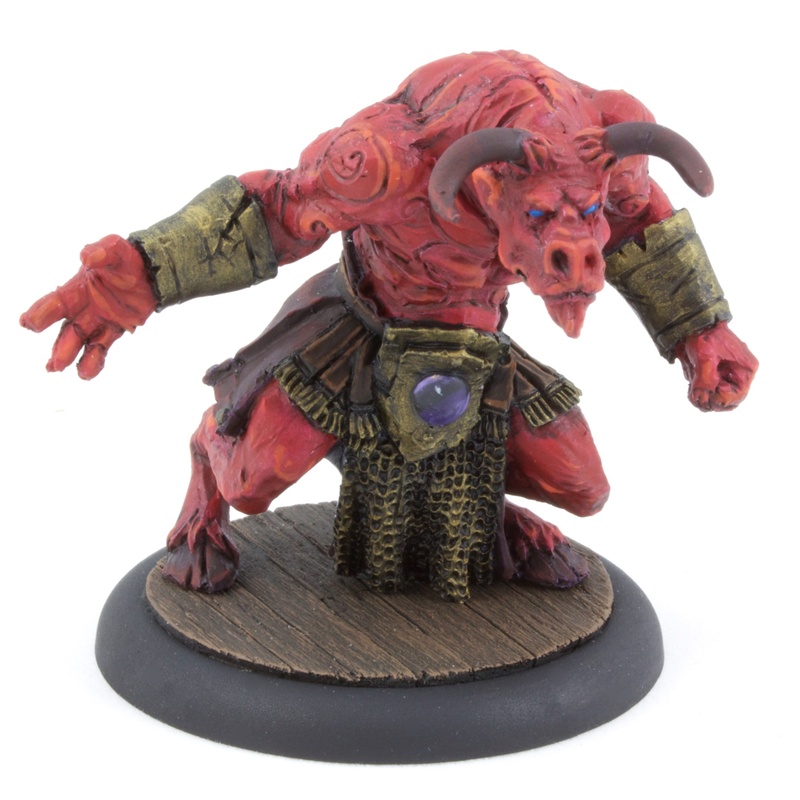 I managed to get a concession to paint the gem purple, to tie it a bit to my Neverborn.